A year-round average temperature of 72 degrees and generally ideal weather await students at Eastern New Mexico, a public university in the agricultural city of Portales, which is over 100 miles from any major cities. Liberal arts, technology and other sequences are available, and visiting the Roswell branch site to see the truth for you is a distinct possibility. What is a typical Eastern New Mexico University-Main Campus student like? Describe the type of person that should attend Eastern New Mexico University-Main Campus. What are the top 3 reasons someone should attend Eastern New Mexico University-Main Campus? What was a typical Eastern New Mexico University-Main Campus student like in high school? Describe the type of person that should attend Eastern New Mexico University-Main Campus. Students choose Eastern New Mexico University for its personal touch, accredited academic programs and affordable costs. ENMU offers a variety of services to help students succeed in their academic, personal and professional lives. That's why our slogan is "Student Success--that's what it's all about!" 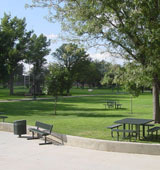 What are the top 3 things that students do for fun at Eastern New Mexico University-Main Campus? Campus housing is available for undergraduates. Housing deposit : $150.00. Housing deposit due : Aug 1. Housing deposit is not refunded if student does not enroll.. Freshman allowed to have car. No pets. A program that prepares individuals for the specialized professional practice of social work, in collaboration with other health care professionals, in hospitals and other health care facilities and organizations. Includes instruction in social work, psychiatric case work, clinical interviewing techniques, therapeutic intervention strategies, patient testing and evaluation, patient and family counseling, social rehabilitation, patient care planning, record-keeping, and support services liaison. The average student pays $9,695 for tuition, fees, and other expenses, after grants and scholarships. Total stated tuition is $2,924, in-state and on-campus, before financial aid. Learn more about financial aid at http://enmu.edu/services/financialaid/index.shtml. Estimate the net price for you at http://www.enmu.edu/services/financialaid/netpricecalculator/. The typical (median) early career salary of Eastern New Mexico University-Main Campus graduates is $37,400, according to Payscale. Eastern New Mexico University-Main Campus participates in the NCAA Division II for college athletics. Want more info about Eastern New Mexico University-Main Campus? Get free advice from education experts and Noodle community members.